Boston-based developer of autonomous vessel technology Sea Machines Robotics has announced that it has quadrupled in size in the past 18 months. This significant increase in talent, based both the U.S. and in Europe, is the result of multi-year strategic plans that are now positioning the company as a leader in the new marine technology space. Sea Machines’ employee growth comes on the heels of the company’s announcement in March that it had opened a second office in the port city of Hamburg, Germany, which provides convenient access to several key locations and is supporting the company’s growing demand for engineering, sales and marketing across Europe. Then, in April, Sea Machines shared that it had signed a contract with A.P. Moller-Maersk, of Copenhagen, Denmark, to trial its industry-leading perception and situational awareness technology aboard one of the company’s new-build ice-class container ships. Later this year, in September, the company will release its SM300, the world’s first productized industrial-grade control system to provide autonomous and remote vessel control for workboats and other commercial marine vessels. 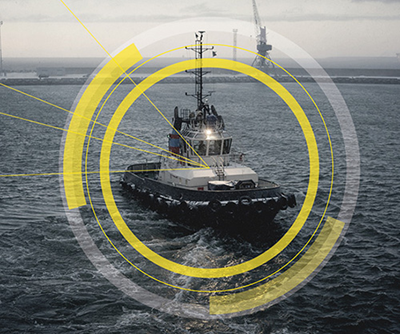 This technology serves operations looking for remote commanded operator-in-the loop autonomy in survey, spill response, dredging and security/surveillance. Sea Machines is also actively developing advanced perception technology and navigation assistance technology for a range of vessel types. With an aggressive product roadmap that will reshape the way that boats and ships are operated, the company anticipates that it will need to hire additional technical personnel – including perception engineers, software developers, and autonomy engineers – in Boston and Hamburg in the very near future. The company is also managing a pilot program with Tuco Marine, of Denmark, to test the autonomous technology aboard ProZero workboats and will soon announce additional boat builders that are incorporating the technology. Current job postings for Sea Machines include: Technical lead, autonomous vehicle perception; user interface developer; and perception scientists for marine autonomy.